Gamification is often utilized to enhance the motivation to use digital learning tools. Usually, the effect of gamification alone is not sufficient to achieve sustainable self-directed occupation of students with digital learning tools. This statement is also confirmed by the authors’ experiences from previous uses of quiz apps to impart factual knowledge. The presented study describes the use of gamification in a university course in Urban Water Management in a twofold approach. The first approach of gamification is a gamified quiz app, which offers matches as well as ranking lists and competitions. The second approach is the gamified integration of the quiz app into the didactic context. The didactic context is characterized by the voluntary use of the quiz app and meaningful incentives, such as substitution of preliminary assessment tests. Compared to previous experiences, students showed a high level of engagement. Research instruments are the usage data of the quiz app and data collection at four points in time with the help of standardized measurement instruments (QCM, EGameFlow, and expectation-value model). The results include outstanding engagement of students indicated by an average of 2,223 questions per student answered during the semester, a high degree of confidence in mastering learning tasks among students, and a comparatively high level of knowledge improvement and social interaction reported by students. 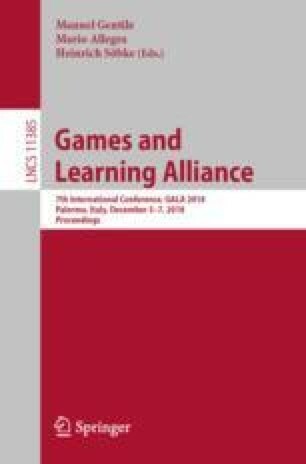 Overall, the study demonstrates the huge impact of deep gamification by integrating gamification into the didactic context and encourages further systematic research of deep gamification of didactic contexts.